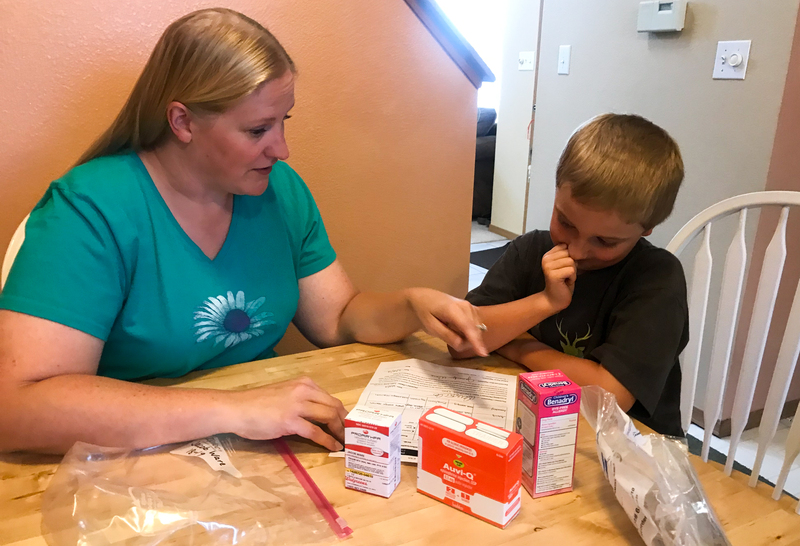 (DENVER, Colorado) – For parents of children with food allergies, back-to-school time can be particularly stressful. 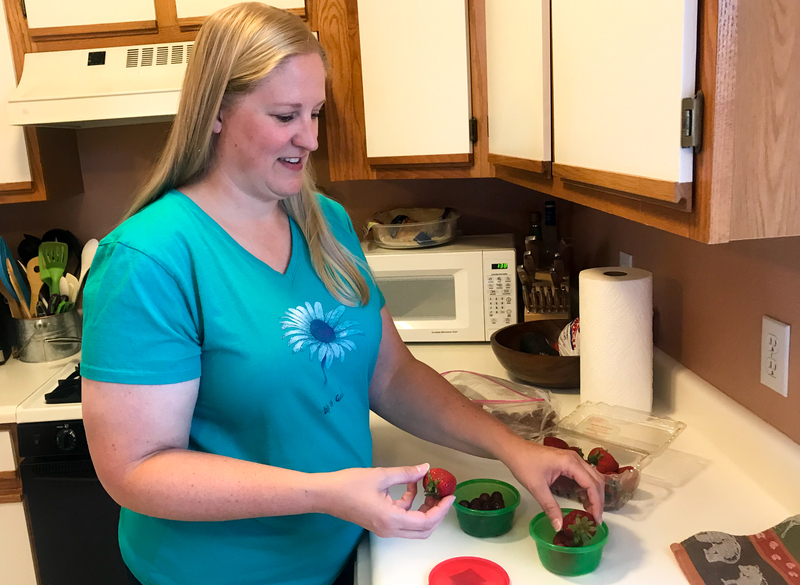 When children are away at school, parents have little control over the foods children may encounter. But a few tips from experts at National Jewish Health can help ease parents’ anxiety and ensure that students with food allergies remain safe at school. Meet with school staff members: Set up meetings with principals, teachers, nurses and cafeteria staff before the school year begins. This ensures that everyone is informed and prepared and allows a parent to understand how a child’s school manages food allergies. Create a written plan: Work with an allergist to develop an action plan that outlines all necessary information on your child’s allergy, including how to prevent accidental exposures and how to recognize and treat symptoms of an allergic reaction. Post pictures: Tape pictures of your child to the classroom wall with information on their allergies to alert anyone that comes into the room. You can also post one on your child’s desk, which can serve as a secondary reminder when snacks are served. Make safe snacks: Pack allergen-free snacks for your child in case someone brings in a treat for the class. Send the snacks to school with a label specifying that they are safe, or leave some with their teacher so your child won’t feel left out during classroom celebrations. Experts at National Jewish Health say a few simple preparations can help keep children with food allergies safe at school. Their tips include having a supply of safe snacks in the classroom in case someone brings in an allergenic treat for the class. 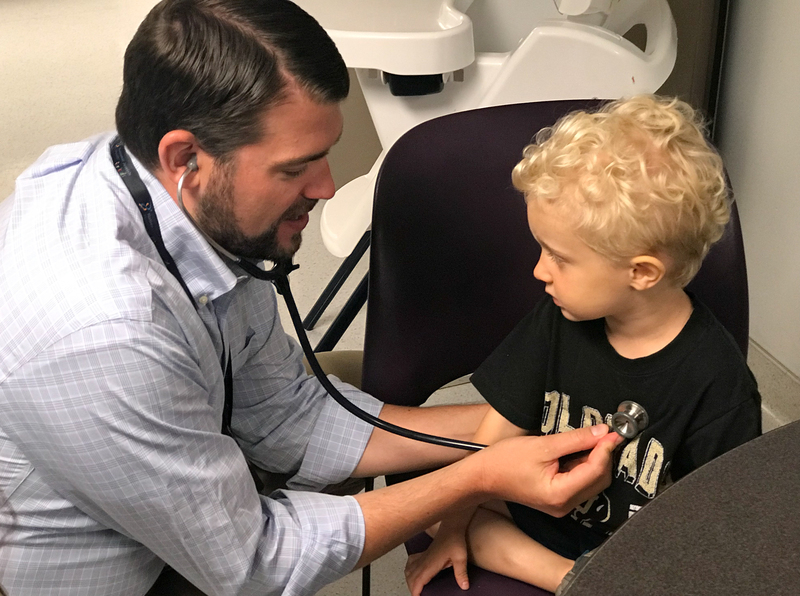 BJ Lanser, MD, examines a child with food allergies at National Jewish Health. While many parents feel anxious about sending their children with food allergies to school, Dr. Lanser says preparing a written plan and communicating with your child’s school can help prevent accidental exposures. 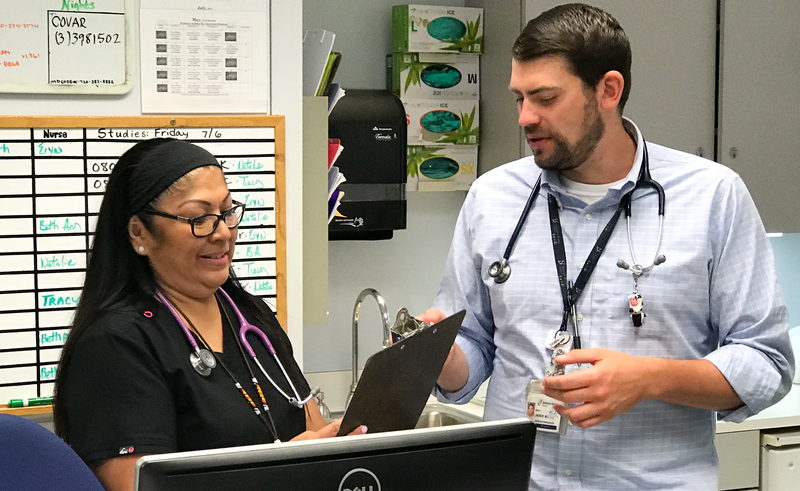 BJ Lanser, MD, discusses pediatric allergy cases with a colleague at National Jewish Health. Dr. Lanser has four simple tips for parents preparing to send their food-allergic children to school that can help prevent exposures and ensure students are quickly treated in the event of an allergic reaction at school. Jacob Ware, 7, plays outside in his yard as summer winds down and he prepares for third grade. 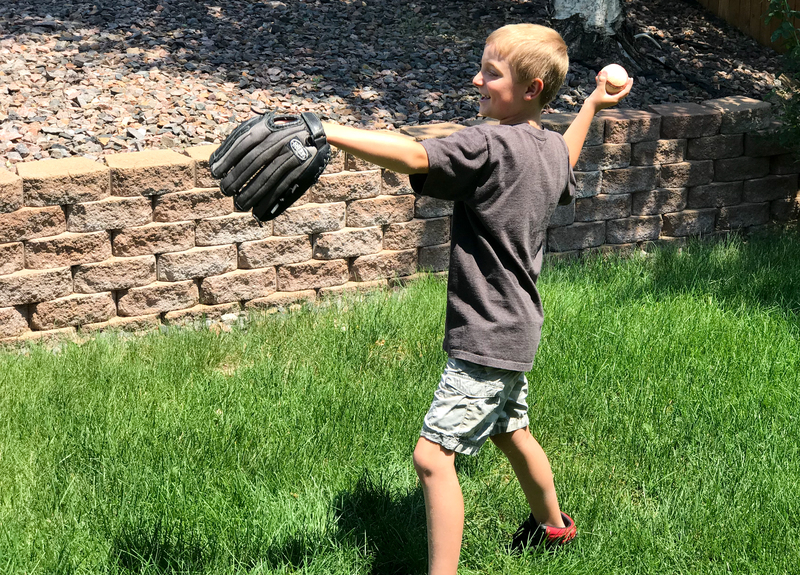 Jacob is severely allergic to milk, eggs and shellfish, and allergists at National Jewish Health helped him and his mother develop a plan to keep him safe at school.